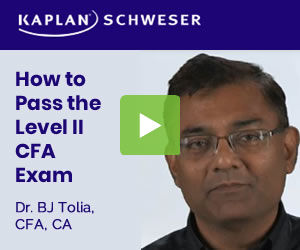 I want to know if the schweser notes alone are sufficient to prepare and to pass CFA level II given remaining time of almost 8 months. First, you have plenty of time for level 2 if you start now. My recommendation is to first read through the CFAI curriculum and then use schweser notes. I think it’s more important at level 2 to read the curriculum, than say at level 1. Really focus on the end of chapter questions and examples in the CFAI curriculum. Those are much more comprehensive than the examples and questions in Schweser. I was able to pass this year relying on Schweser alone for readings. Although, I went heavy on EOCs from the curriculum as those were a better representation of what to expect from the exam. Schweser Qbank at level 2 didn’t feel as purposeful as level 1, but still worth doing with the significant time left until the exam. Just make sure you do the practice tests and the questions. I did notes plus a 3-day crash course. Just big emphasis on getting to the practice exams no later than the beginning of next May.